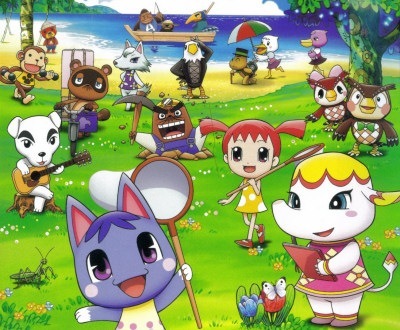 Animal Crossing—that highly addictive game spanning across four systems and thirteen years. You know the one. The one where you’re the only human in a town full of talking animals who constantly send you on chores and your only real objective is to attain as much money as possible to upgrade your house and buy clothes. Or, at least that’s how I saw it when I first picked up a Nintendo DS with the game maybe seven years ago. Wait, who am I kidding. That’s still my view of the game. Look at me! Am I not totally adorable?! Anyways, that’s not what this article is about. Earlier this year, I discovered something that changed my life forever: Animal Crossing: The Movie. I first discovered it while looking for a birthday present for one of my good friends, who also loves Animal Crossing. It’s never been released outside of Japan and there’s no English dub, but a quick Google search yielded plenty of results. I settled down with my bowl of popcorn, expecting a simple, fun movie based on the game series I’d come to know and love. It was. But at the same time, it was so much more. 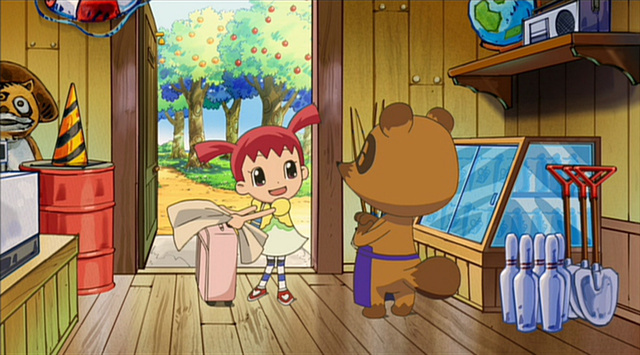 The movie follows Ai, a young girl who is moving out on her own to Animal Village. She worries about making new friends and fitting in, but once she gets to know the townspeople (er, towns-animals), she finds fast friends in Bouquet (purple cat), Sally (white elephant), Alfonso (yellow crocodile; not pictured), and Yu (not pictured, but a human boy from the next village over). Together, they participate in various activities in the village, like the summer festival. As the year continues, Ai begins to discover mysterious letters in bottles on the beach, claiming that a miracle will occur if pine trees are planted at specific locations in the village. She decides to plant the trees and wait. Fall arrives, and with it, Sally’s sudden departure from Animal Village. She has left to go follow her dreams and didn’t say goodbye to Ai because it would have been too sad. However, in a letter, she encourages Ai to begin her own journey. Winter comes and all of Ai’s pine trees are decorated with beautiful lights. Ai anxiously awaits the miracle, which arrives in the form of a spaceship bearing Gulliver, a seagull. He enlists the animals to help him search for the parts of his spaceship that went missing. Ai, Bouquet, Yu, and Alfonso head for a cave where Yu claims he saw something fall, and Sally arrives at the cave to help them out. The five triumphantly bring back what they believe to be the final piece, but there are already five pieces with Gulliver. The one that our heroes discovered actually becomes a smaller UFO from a family of huge ones, drawn to Animal Village by the pattern made by Ai’s pine trees. As the UFO reunites with its family, they create a constellation of Ai in the sky. Ai is then awarded the first place trophy in the Winter Lights contest, and she finally feels like she belongs in Animal Village. And yes, before you ask, Tom Nook is still a jerk and forces Ai into slavery to pay off her loan. Cute, huh? 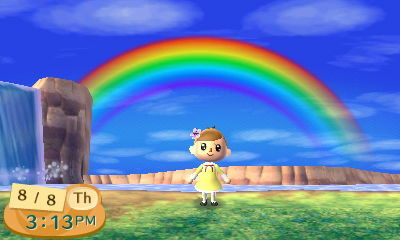 The nostalgia factor is overwhelming—even the music takes me back to the old days when I would devote hours every day to my town in Wild World. Cameos by familiar characters such as K.K. Slider, Brewster, and the dreaded Tom Nook (see above) also add to the classic feel of the movie. On the surface, it seems like a simple film celebrating the feel of the series. But look a little deeper, and the movie takes a (for me, anyway) surprisingly serious and relevant turn. Being a recent high school graduate, a lot of pressure has been put on me to be successful as I continue on to “bigger and better things”. But, when I saw this movie for the first time, something struck a chord with me. “Follow your dreams, no matter how strange they may seem.” Or as the movie puts it, “find your own cherry pie”. Both Ai and Sally follow their dreams, completely ignoring the cost. It’s going to sound sappy and dumb and feel free to judge me in the comments, but I really admire them. Sally and Ai also provided inspiration for the end of my senior year: Sally chooses to refrain from saying goodbye to Ai because she didn’t want to take the first step into her dream with tears in her eyes. That’s just beautiful. I have no words. And it’s incredibly relevant, too, which is why it seemed to hit me so hard. And so, with that, I’m taking steps into my new future. But no tears—it’s not goodbye. It’s just…see you later. HA! Did you really think I was leaving? When there’s so much Phoenix Wright news?! Puh-lease. You can’t get rid of me that easily, no matter how much you may want to. But in all seriousness, as my high school time comes to an end, it seems appropriate now to thank everyone for giving me this opportunity and supporting me in my dream, to write for a gaming website. You guys are all amazing and I love every single one of you. 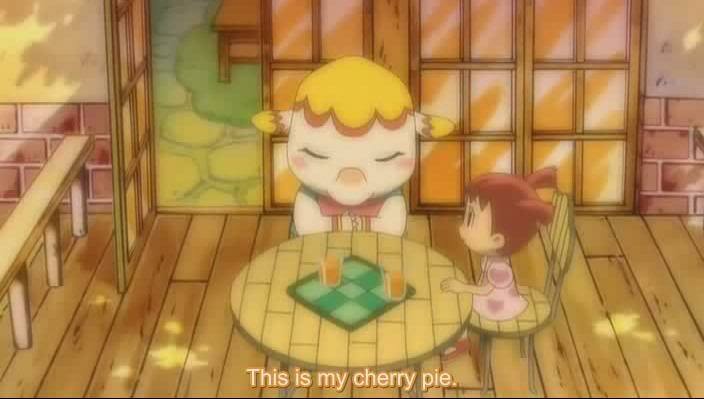 Go chase after your cherry pies, I’m sure they’ll be delicious. I remember this movie! I watched it maybe… five years ago? It was great. Congratulations, by the way!